Who host the CMS or Ecommerce site? If you have, you can use your own hosting server. Otherwise, we will provide you the same, charging a nominal fee. What to choose - CMS or Ecommerce? We will be glad to offer you comprehensive web solutions, meeting your requirements. What you can do, you can Email your requirements at sales@css4me.com, and we will get back to you accordingly. Can you guys work with a different CMS or Ecommerce you already have stated on the website? Currently, we have what we already mentioned. Probably in the future, we will get more solutions in-house and then we will be able to cater you in much better way. What we have included in our implementation packages are the basic standard implementations. We are predominantly into the creation of basic templates based off your designs. That means, the theme that we will send you will certainly appear like your given design. WP MU was actually a separate project that permits you to control or handle multiple sites using the same WP. But now, it is no more a separate project as WP 3.0 is released, and it is a part of WP core. Click here for more information. What do you mean by Custom Post Type? Can you use PHP in WP Widgets? Of course we can, the WP plug-in allows us to do so. We would need to analyze very single case. Certain requirements are If you are moving from a non-WP to a WP, we can create the WP theme for you but you need to take care of the migration from the non-WP theme to the WP theme we will create for you. If you are moving from a WP to WP, we would need access the old WP database and theme functionality to make sure of how it was done. This way we can do the new WP like a plugin play theme for your old content. Do you keep a backup file, when take a project? Yes, we keep the backup for 6 months after the completion of the project. Assure to contact us during this time. Within this duration if you lose your file, we will be more than happy to provide you the same again. 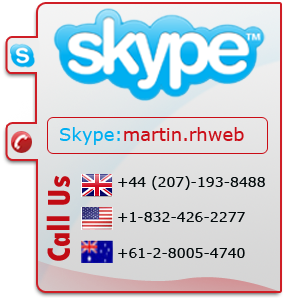 We are open from Monday to Friday, from 9am to 6pm CST (Central Standard Time). We do not work on weekends, and we lay down the deadlines considering that. We have already quoted industry best prices. However, in bulk projects, we do offer discounts. For more updates, you can stay connected to us on social media platforms like Facebook and Twitter. Can I pay 50% upfront, and you start the project? We take full payment upfront to start the project. Yes, our phone number is 1-877-455-HTML. Will your company name appear on my site? No, we would not do that until and unless you give us permission for the same. Do you work under Non-Disclosure Agreement? Yes, we do sign-up the same if a client want. We create codes in accordance with W3C standards, and we are proud to unveil this fact that our codes get displayed perfectly on the foremost browsers, such as, Internet Explorer 7+, latest versions of Firefox, latest versions of Opera, Safari, and of course Google Chrome. Do you use a WYSWYG program for website creation? And for the future, what program would be my best option? No, we do not use this tool in anyway. In case if you are not a technical savvy, then we do recommend tools like Dreamweaver to make future changes to your site. What if I have extra sub-ages in the future? For that you ought to pay us some extra amount. Certainly that extra amount would not be heavy on your pocket, in any case. We never charge unbelievable rates because we understand what customer wants. Are you doing hand coding? Yes, we are doing the same. You stay confident about our services and we assure you that all the codes will be hand coded. Do you provide valid codes? Are you supporting CSS framework? If requested, will you amend the codes? Well, in case if there is any loophole, we will certainly fill it up. After all, client contentment is our primary objective, in any case. For the changes, we will give you 3 rounds, and if you want to get it redesigned, we will take additional charges from you. Should I give you my credit card details for the payment? Sorry, we do not take credit cards. We accept payments via PayPal and Google Checkout only. Also, we work with payment upfront. What file types you prefer? Generally, we prefer PSD files. However, if you have formats like Fireworks, .PNG or .AI that also we accept. In case if you are sending the designs in another format, apart from PSD, then do couple it with the used images and font files as well. Are you into modifications of on-going projects as well? 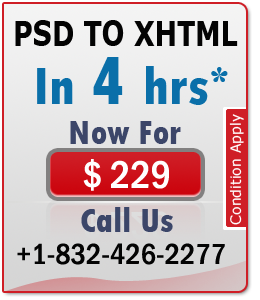 PSD is actually a format in which the files extracted from Photoshop are saved. We prefer to take the designs in this particular format. Do you recommend Layout and Design Standards Guidelines for accepting PSD files? We accept layered, organized and well-formatted PSD files. Do you have any size limitation for a PSD File? Yes, the maximum level it can reach is 2400px. If there is more content, we’ll charge accordingly. Are you also into designing? Well not exactly, and we choose to concentrate on PSD to HTML conversion. For this, you can checkout our sister company Custom PSDs. What you use: Tables or DIVs? We only code in DIVs. We use tables if necessary. Do you include Drop-Downs menus? We take a minimal amount to add Drop-Down menus, and of course, you ought to further include the designs on your project files. Yes we can, and we will love to perform this task for you. For this job, we usually charge $30, but the prices might rise if the theme is super complicated.